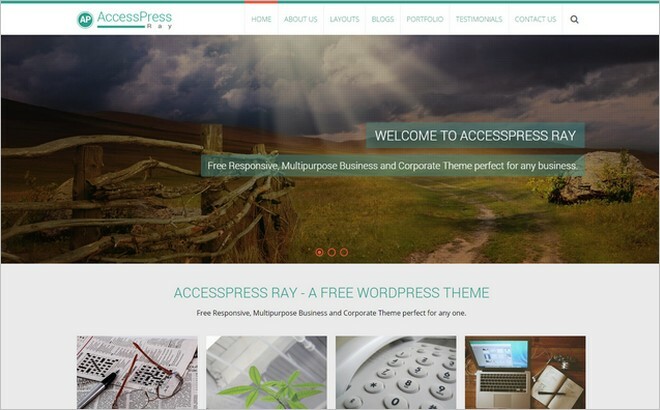 AccessPress Ray is a stunning and creative free WordPress Theme designed and released by the WordPress themes store AccessPress Themes. AccessPress is a company based in Nepal and they have a bunch of beautiful and elegant free and premium themes in their gallery. 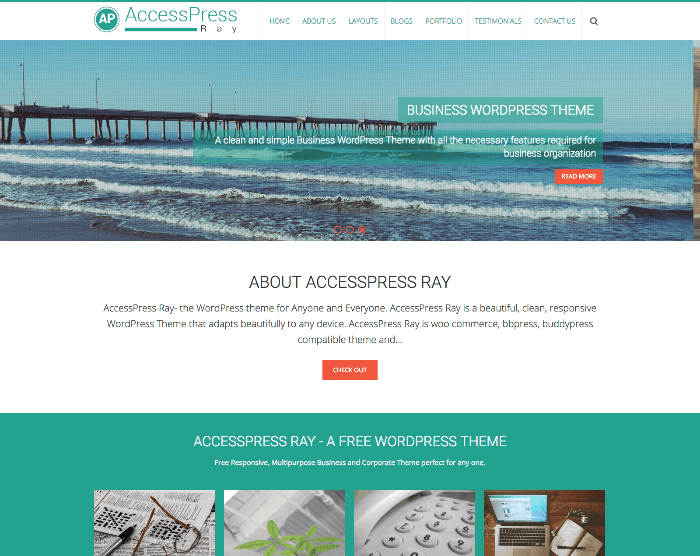 But today I want to highlight a great free theme named AccessPress Ray. 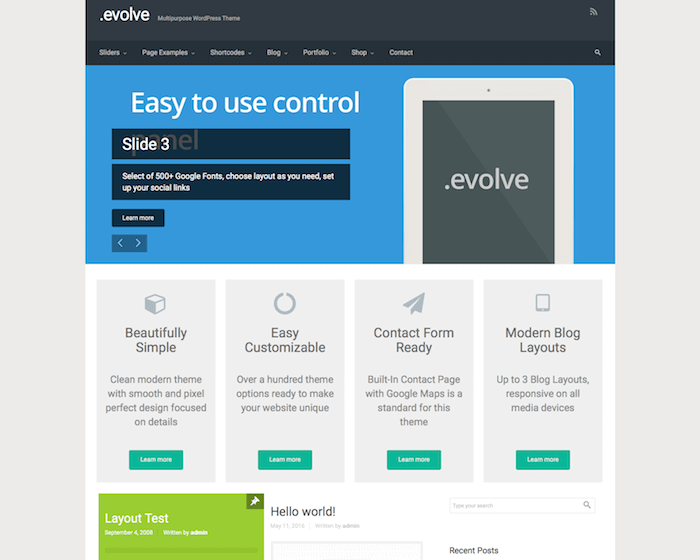 AccessPress Ray is feature-rich theme with a modern and trendy look and feel. 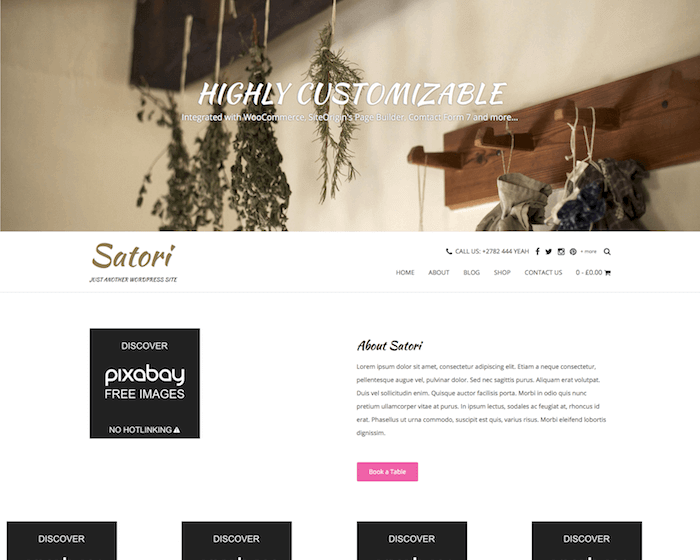 This is a multi purpose theme and can be used for a variety of website types such as business, corporate, travel, and portfolio websites. It features a responsive and adaptable layout so your website will look perfect in an any devices from small mobile phones to large desktop screens. The Theme comes with different page layout like portfolio, testimonial, gallery, blog etc. You can easily change and customize the theme via the theme options panel. You can display your best featured photos and images in the easy to configure full width slider. 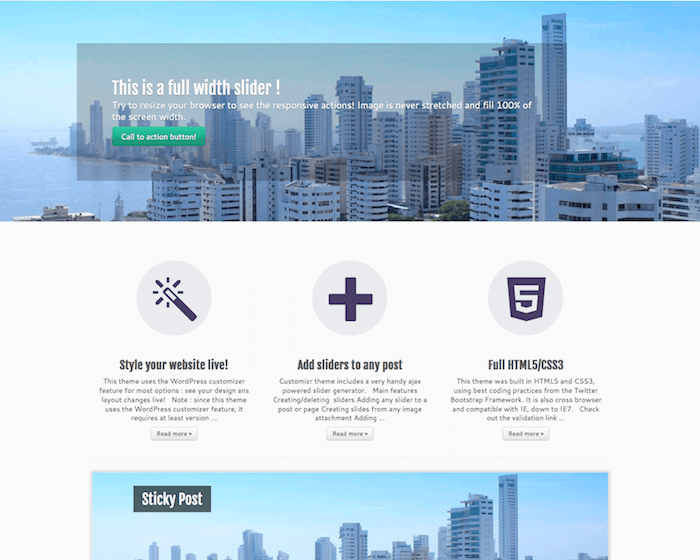 AccessPress Ray is a creative and really cool theme that will work and is suitable for anyone. AccessPress Ray contains a lot of great features and options that you usually only find in Premium WordPress themes. Some of the key features are: Multiple homepage layouts, SEO friendly, WooCommerce compatible, bbPress compatible. Custom CSS/JS, CSS3 animations and much more as you see in the list below.